The only such route in Poland, one which welcomes you with a wink, revealing a fragment of the gleaming sea perspective. 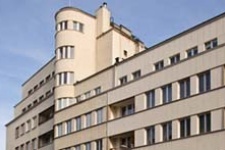 Following the route towards the sea, we quickly enter into close contact with the gems of the modernism of the 30's, including the iconic pair of the Gdynia "houses-transatlantic liners". 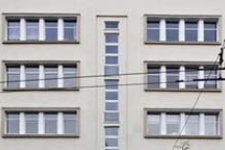 It is worth looking at both buildings from different perspectives and at different times of the day. 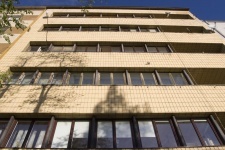 A real feast, not only for connoisseurs, shall be a visit to the BGK Housing Estate (Zespół Mieszkaniowy BGK) – looking at the decorative elements of the staircases, complex of shelters or looking into the "soul" of the stairs and the "cosmic eye" of internal lighting system. Thanks to the initiative of the housing cooperative there is a mini museum with exhibitions which include e.g. photographs or original elements of bathroom fittings. 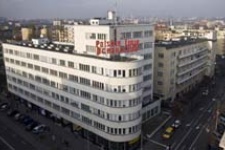 To give you a chance to cool down after the visit to the first so modern apartment building in Poland, we suggest a short break in "Café Cyganeria", an artistic café on the ground floor of the building, where you can drink delicious " Gdynia 1936" coffee and page newspapers from the 1930's. 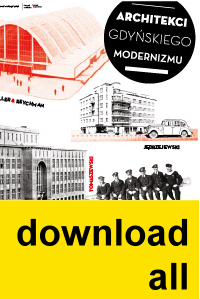 Modernism is our companion along the entire walk along the 10 Lutego Street. 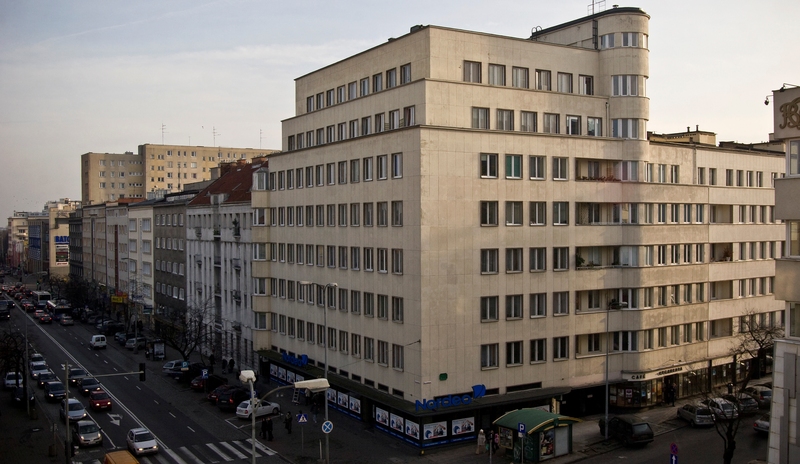 Really impressive elements include a row of four tenement houses under numbers 21-27; the Post Office building with its distinctive bright elevation, geometrical mass and rhythmical glazing of huge windows, or the expressionist corner tenement house, the first in Gdynia built in the luxury trend. 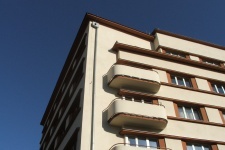 The most important of the three, the Pręczkowski Tenement, was a milestone for Gdynia modernism, a building in which cylindrical forms were daringly used for the first time, while the entire design refers to ship's style. The modernism route leads us to the Southern Pier, a place where the city comes into direct contact with the sea. 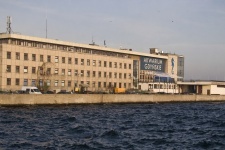 Here we meet symbols of Gdynia modernism creating its sea panorama, including the building which houses Sailor's House (Dom Żeglarza) at the Marina (now Gdynia Maritime University) as well as an important attraction of the city – the Gdynia Aquarium. 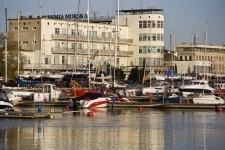 Ship-like body of the "Dom Żeglarza", designed to be a hotel, became an inspiration for contemporary architects who design hotels in Gdynia (e.g. 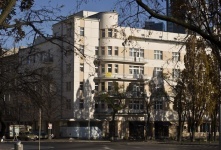 Hotel Nadmorski, Blick).